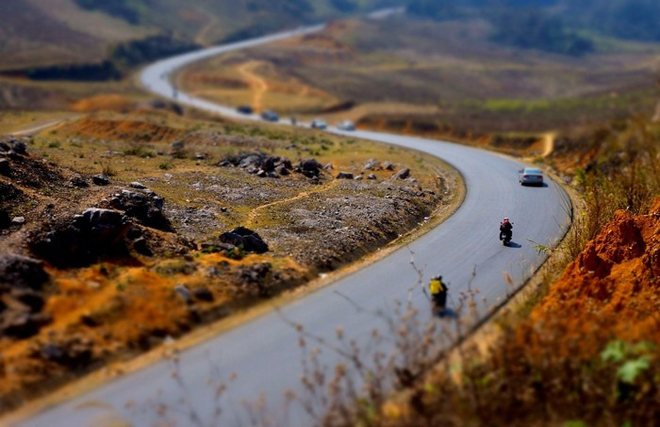 Moc Chau is popular with visitors for its beautiful landscape, but so is the scenic route to it. 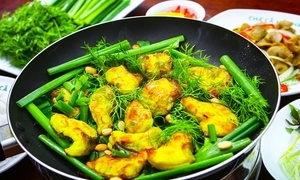 Moc Chau is a highland district of Son La Province, 180km to the north west of Hanoi. It has diverse and beautiful landscapes, including plains with blooming flowers, Ngu Dong ban On (Five Caves in On hamlet), Dai Yem Waterfall, Pha Luong Peak, green tea hills, hill pine and orchid garden flowers. Moc Chau is very easy to reach. 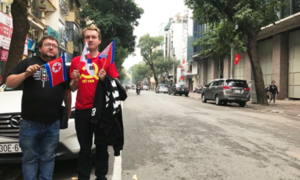 From Hanoi, visitors can go by car or bus, with the trip taking 5-6 hours depending on the weather. Along the way are many spectacular scenic spots. 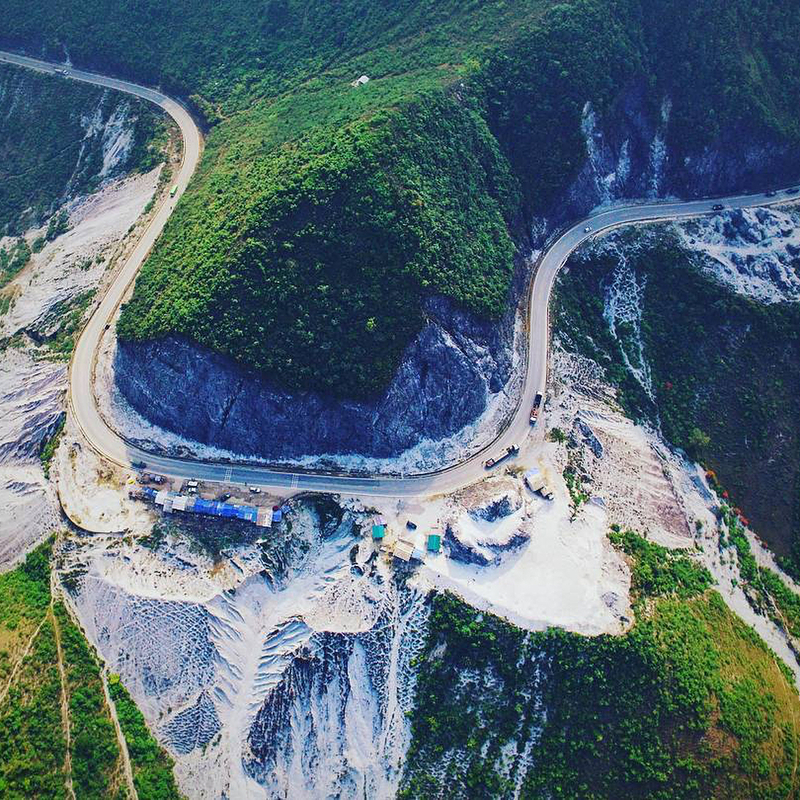 The quickest way to Moc Chau is by the Hoa Lac – Hoa Binh highway through Thung Khe Pass, also called Da Trang Mountain Pass (White Stone Mountain Pass). The whole mountain is covered in white limestone, hence the name. From afar, it looks like the mountain is covered in snow. 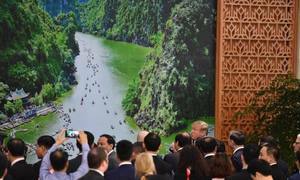 Da Trang Pass attracts a huge number of tourists, especially young people who come to take photos. There is a small local market at the foot of the pass which is also popular with visitors. This is the perfect place to take a short break and enjoy local delicacies such as lam rice (rice in bamboo tube) and grilled corn with some warm cups of tea while admiring the grandeur of nature. 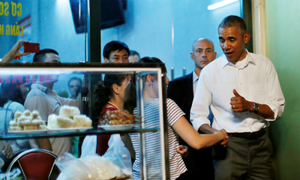 It would be a shame not to traverse the S-road en route to Moc Chau. Situated in Long Luong Commune in Son La’s Van Ho District, it is very popular with travellers, especially those on motorbikes. The S-shaped road lies in the middle of the valley, surrounded by rolling green mountains and hills that change colour every season. The hills are green when the corn is still young, golden when the flower season comes, and red after harvest. Each colour evokes a different feeling. To ensure everyone’s safety, please park your vehicles on the side of the road and remember to look out for traffic while taking photos. 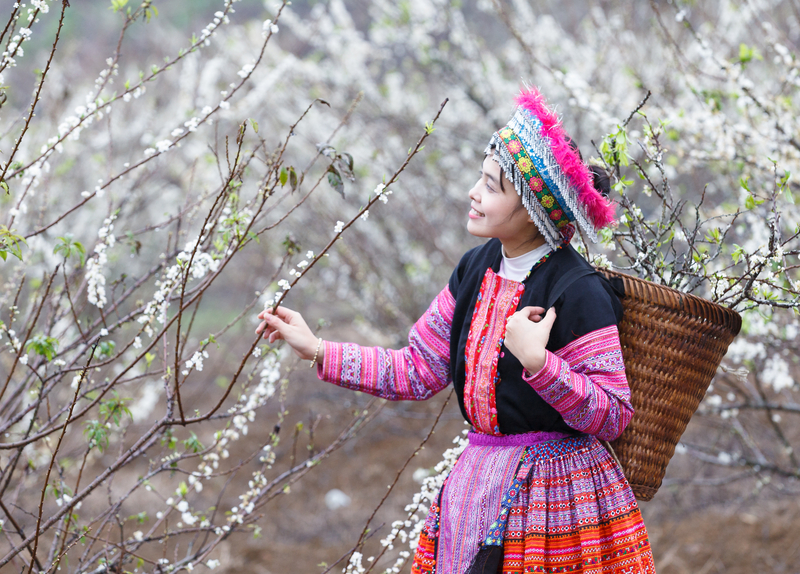 The plum blossom is one of Moc Chau’s signature flowers. 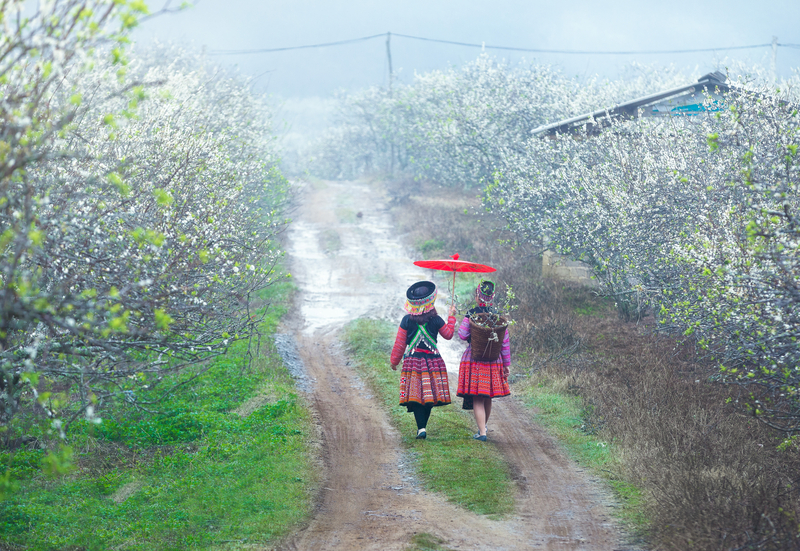 One of the most popular plum blossom gardens is situated near Doc Thot, around 1.5 km from the Moc Chau District people’s committee office. Some 82 km down National Highway 6 is a flower valley on the left hand side of the road. A small slope will take you to a beautiful, dream-like flower garden. There are hundreds of plum trees along a winding dirt road dotted with bushes with golden flowers. When in bloom, plum flowers cover the trees from root to top. Individually they are small, but together create a spectacular white paradise. The peak blooming season is just before the Lunar New Year. However, since the cold weather came late this year it is likely that visitors can still see this magnificent site after Tet, the Lunar New Year holiday (February 2-10). 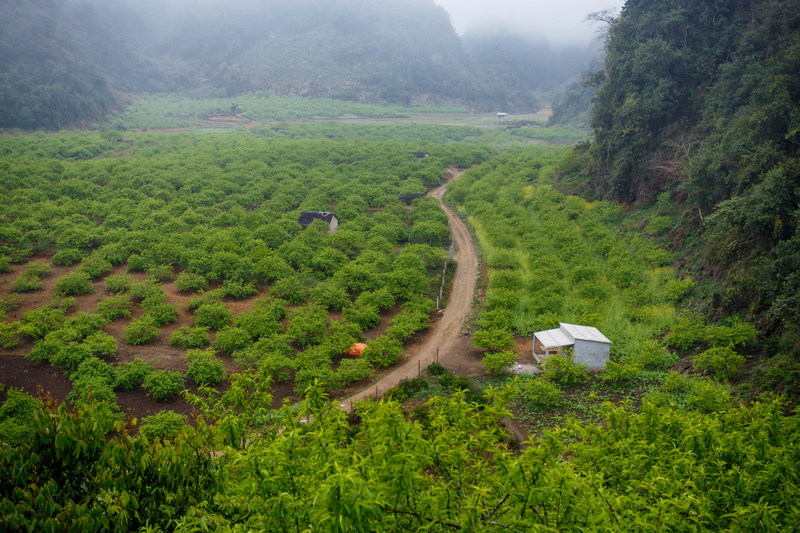 The Na Ka Plum Valley is in Tan Lap Commune, about 20km from Moc Chau. Every year it puts on a white garb and becomes a magnificient wonderland. Seen from above, Na Ka valley is covered in a sea of white plum flowers that stretches as far as the eye can see. The serenity of this place is surely a refreshing change for people accustomed to the hustle and bustle of city life. The best time to visit Na Ka is in the morning or early afternoon since it can be quite misty in the early morning and the sun sets quickly in the afternoon. But watching the sunset in the valley is also an unforgettable experience. To catch the last rays of the sun try to reach the place by around 4 p.m.